created channels to the corresponding Node Graph shader inputs. A new Export Manager dialog for managing the batch exporting of channels and Bake Point nodes has been introduced. You can now configure and manage multiple export targets from the same source, as well as perform format conversions during export. A new Palettes toolbar that contains a button for each of Mari's palettes has been introduced. This allows for quick and easy access to your palettes. Having the full Node Graph locked away behind a preference was an obstacle. So the Basic Node Graph mode has been removed and the Advanced mode is now standard. This unlocks the full NodeGraph in Non-Commercial too. There is now a palette for managing texture sets inside of Mari. You can drag-and-drop to load multiple related images, texture sets, into the Image Manager in a single action. 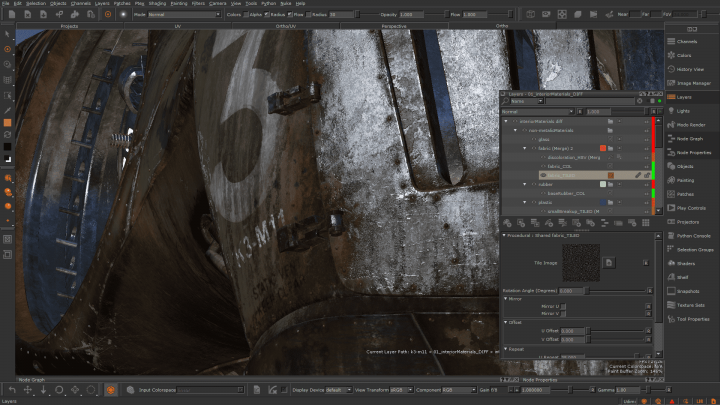 The first supported texture sets are from Megascans with a dedicated tab that can browse through the keywords and tags that come with each downloaded library item. The HUD has been updated to match Modo’s style. Various control palettes have been merged and tools have been grouped together to declutter the UI. 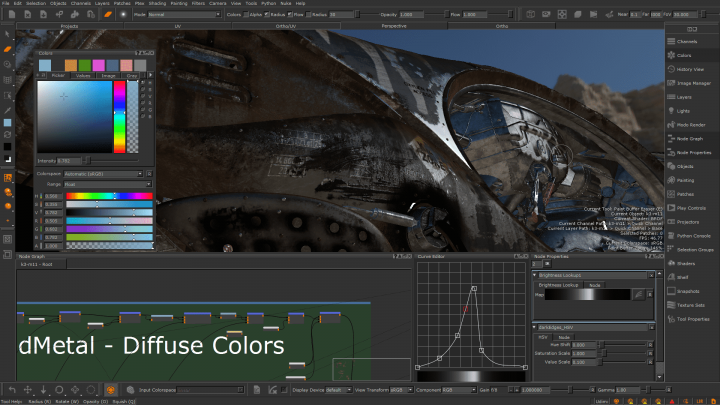 The Projection palette has been merged with the Painting palette and the Brush Editor palette has been removed. To create custom brushes in Mari 4.0, adjust the brush properties in the Tool Properties palette. Then drag the new brush preview from the toolbar to your shelf for later use. A drag-and-drop triggered mechanism can now be used to fill your current item selection with the color being dropped. The fill works across all selection modes (Object, Patch, and Face). 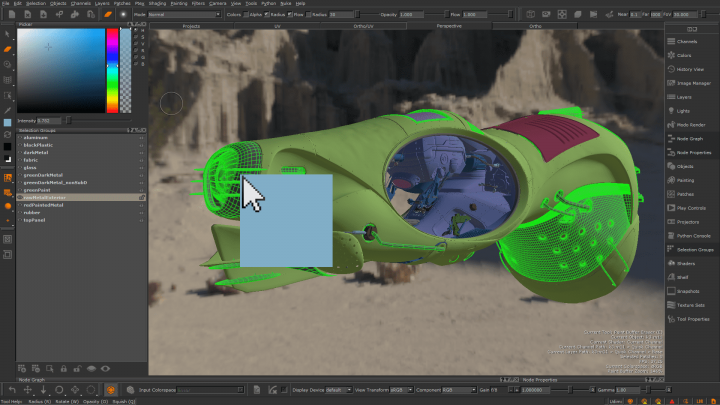 When using the Marquee Select tool, dragging a color to the canvas fills the selected area of the paint buffer. The Colors palette is now scalable for better precision, and the component sliders have been improved to show the resulting color at each point along the control. 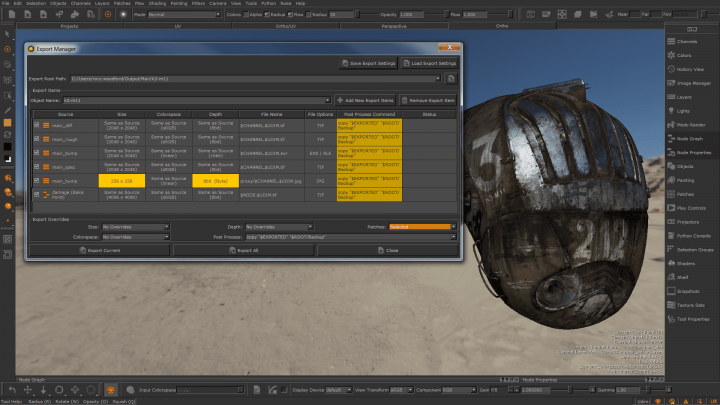 You can now adjust numerical values with your keyboard and mouse wheel as you would in Nuke. The Layers palette is now more intuitive when working with Group layers. Creating new Group layers, with layers selected, now groups those layers inside the new Group Layer. Creating new layers when a Group Layer is selected, adds those new layers to the selected Group Layer. A curve attribute now displays as a grayscale gradient in Mari's properties panels and a separate, scalable curve editor window displays to allow for precise editing. 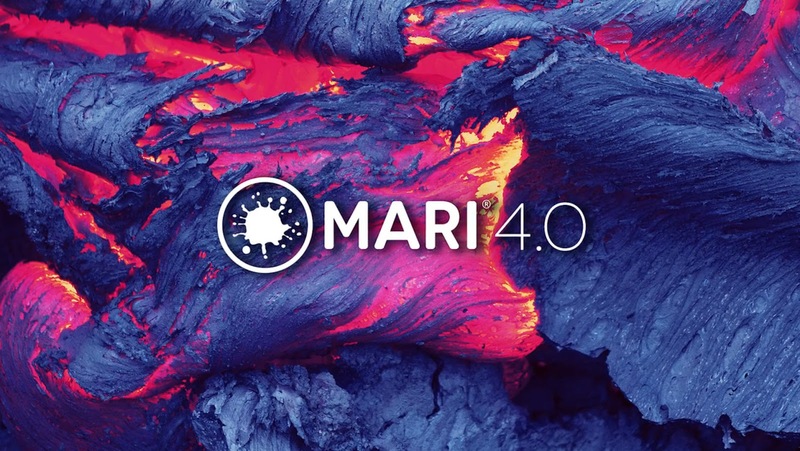 Mari now contains a new shader, which is based on the 2012 paper from Brent Burley of Walt Disney Animation Studios, describing a BRDF shader that follows a set of principles to make BRDF shader control more intuitive, less complex, and artist friendly. The latest features from OpenSubdiv, including scheme choice, geometry, and UV boundary interpolation methods have been added. 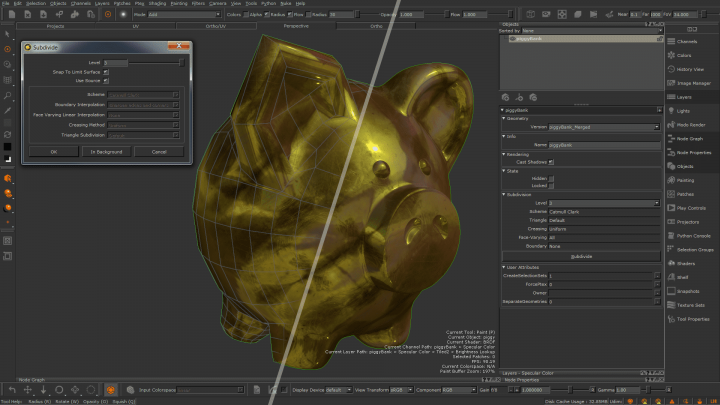 Mari now matches renderer mesh subdivision more closely, increasing efficiency when painting. 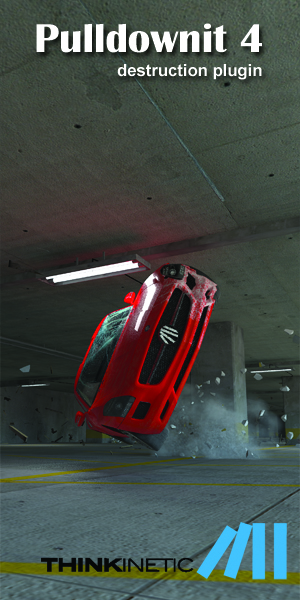 All libraries present in the VFX reference platform have been upgraded to the versions stated in the 2017 edition (http://www.vfxplatform.com). The Source Grade mechanism has been extended to match the grading controls available in thegrade adjustment layer. You can now maximize/minimize any palette by pressing the spacebar while the pointer is hovered over the palette. 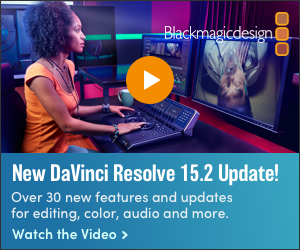 This allows you to easily focus on a single palette.